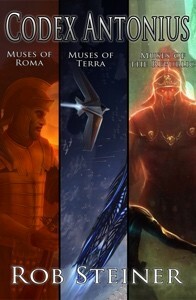 Quarkfolio Books | Publishers of sci-fi, fantasy, and mystery. 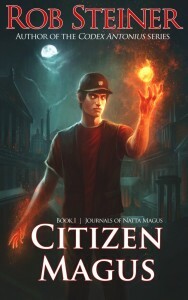 This entry was posted in CITIZEN MAGUS, fantasy, Natta Magus, novels on June 9, 2017 by ancile. 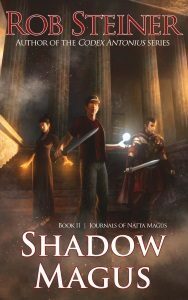 SHADOW MAGUS is the sequel to CITIZEN MAGUS, and book two in the Journals of Natta Magus series, by the author of the Roman sci-fi/alt-history Codex Antonius saga. This entry was posted in CITIZEN MAGUS, fantasy, Natta Magus, novels, SHADOW MAGUS on June 9, 2017 by ancile. Reason and science gave the Recindian Compact wondrous technology like steam engines, telegraphs, and gunpowder. The world had order. It made sense. Until one night two multi-colored bands of light appeared in the sky, spanning the horizons like rings around the planet. Soon after, unnatural storms assaulted Compact cities. Whispers spread of ghoulish creatures haunting Compact forests. And then a message from a legendary race called the Mystics – ally with us to fight the growing evil or we all perish. 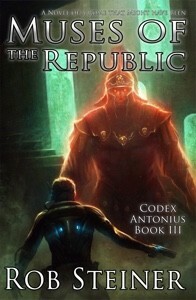 Desperate, the Compact’s leaders turn to disgraced history professor Taran Abraeu. 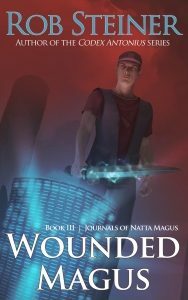 Taran once tried to save his dying daughter in a failed search for the mythic healing magic of the Mystics. His family and colleagues mocked him. Now his research may save them. When Compact leaders ask Taran to accompany a secret delegation to the Mystic homeland, Taran is swept up in an adventure that forces him to fight a horrifying enemy that only he among all his people can comprehend. This entry was posted in fantasy, novels, ZERVAKAN on December 4, 2013 by ancile. Think Stephanie Plum meets The Big Bang Theory, and you’ll have the premise behind this all new “geek chic” mystery novel, ASPECT OF PALE NIGHT. Times are tough in metro Detroit, especially for Hamtramck girl and part-time tech blogger Toni Dzielny. Within days, she’s lost her technical writing job, has to swear off coffee due to her hypertension, and interviews for her dream job as a writer for the Detroit Free Press, only to find she’s competing for the same job with her beautiful nemesis, Kayla Ratcliff. As if that weren’t enough, she learns her ex-boyfriend, Leo Donnelli, was murdered less than two miles from her house. But before he died, he snail-mailed her a mysterious computer disc telling her to “keep it secret, keep it safe.” And the fact the police consider her a “person of interest” in Leo’s murder doesn’t bode well. So when the real murderer threatens violence against Toni, her friends, and her family, she’s had enough. Toni enlists the help of her brilliantly nerdy friends to clear her name and learn the contents of the disc before she shares Leo’s fate. They discover the disc not only points to why Leo was murdered, but that it holds a secret that could destroy a local cancer center’s new research…and her mother’s only hope for treatment. 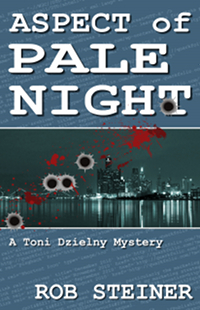 This entry was posted in ASPECT OF PALE NIGHT, mystery, novels, Toni Dzielny on December 4, 2013 by ancile. The Andean Commonwealth is a land where humans use their Faith to magically shape the world around them. Warrior-priests called dahkshari keep order by serving as judge, jury, and executioner. 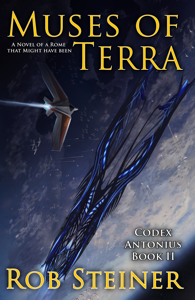 And “heretics” strike out into the unknown frontier along Andea’s borders to escape the overcrowded Great Cities and the strict Faith dogmas of the cleric lords. Raven Byrne is a novice dahkshari about to complete his training. 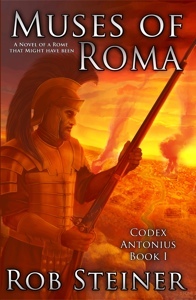 He discovers that a popular Andean war hero named Thallan Brael wants to use an ancient magic called the Reaping Keys to avenge the deaths of his family, who were killed during Andea’s recent war with neighboring Loquath. If Brael finds all three Reaping Keys, he could “reap” the souls of every Loquathi man, woman, and child. The guilty and the innocent would pay for the lives of Brael’s dead family. With the help of Brael’s niece, Seala Mesalek, Raven embarks on a journey across Andea’s dangerous frontier to stop Brael from using the Reaping Keys to commit genocide. Can Raven learn to put aside his prejudice against heretics, and his doubts in himself, to become the honorable dahkshari Andea needs? 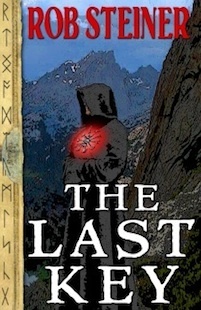 From The New Podler Review of Books: The Last Key is a great fantasy story. 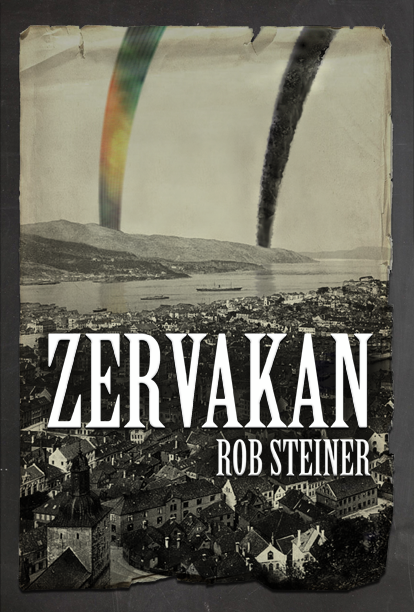 Steiner has crafted a world where politics muddy the boundary between good and evil and forces the characters to find a clear path to solve a world-shattering crisis. His characters rise above stereotypes and engage each other with realistic dialogue that comes naturally to them. And they evolve. Although it is only his first novel, The Last Key clearly exemplifies Steiner’s mastery of writing high fantasy. He is one to watch. This entry was posted in fantasy, novels, THE LAST KEY on December 4, 2013 by ancile.